We announced the WINNER of our 10News contest to win a family trip to Aulani, a Disney Resort and Spa in Hawaii on Monday, Feb. 22. 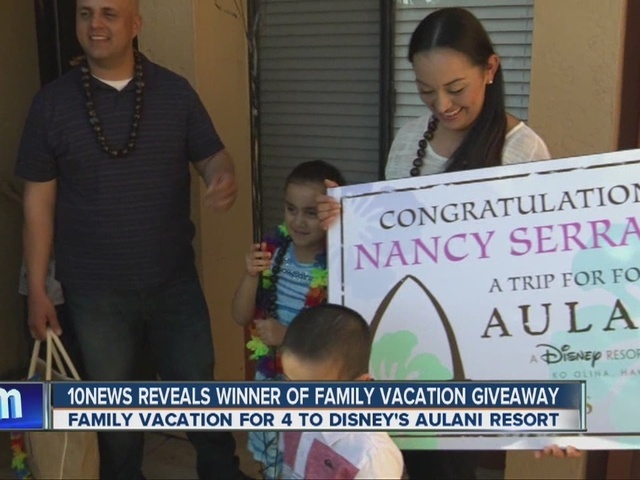 Nancy Serrano of Chula Vista, her husband Jose and their three children won the grand prize, a four-night stay with round-trip airfare, ground transfers plus hotel credit at Aulani. WATCH the video above to see how they reacted to learning they had won!